Kuala Lumpur, 15 July 2013 — As negotiations for the Trans-Pacific Partnership (TPP) Agreement* move to Malaysia this week, Médecins Sans Frontières/Doctors Without Borders (MSF) urges negotiating countries to remove terms that could block people from accessing affordable medicines, choke off production of generic medicines, and constrain the ability of governments to pass laws in the interest of public health. With negotiators under pressure to finalise a deal, time is running out to fix the flawed TPP agreement, which currently contains a number of United States proposals that will extend monopoly protection on high-priced pharmaceuticals and delay the entry of affordable generic medicines. Restrictive intellectual property provisions could seriously constrain the role that pharmaceutical producers across Asia currently play in providing affordable medicines to both developed and developing countries; for example, by putting up new patent barriers that restrict the production and distribution of generics. 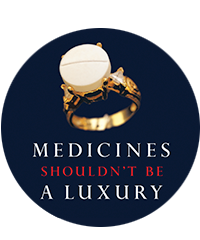 In addition, several of the provisions being pushed by the US facilitate the practice of so-called ‘evergreening,’ where pharmaceutical companies undermine access to affordable medicines by using a variety of tactics to extend monopoly protection on drugs beyond the initial 20-year patent period. For example, companies obtain multiple secondary patents on a single drug so that even when patents on the original compound expire, the product is protected for years by a thicket of patents that prevents procurement of more affordable generic versions. Countries that sign the TPP will have to amend their patent laws to abide by whatever provisions are in the final agreement. If the TPP were signed today with the proposals pushed by the US included, it will be extremely challenging for countries to limit the abusive practice of evergreening. India is one country that limits evergreening through a part of its patent law called Section 3d, which discourages companies from getting a new 20-year patent on modifications made to an existing drug that do not improve therapeutic efficacy. The decision, in April this year, by the Indian Supreme Court against Swiss pharmaceutical company Novartis’ seven-year legal case against the government reaffirmed the importance of India’s law for public health. *TPP countries currently are the US, Australia, New Zealand, Chile, Peru, Brunei, Singapore, Malaysia, Vietnam, Canada and Mexico. Japan is joining the last day of talks for this negotiating round, and will participate fully in future rounds. Other countries have indicated their interest. Even more alarming, negotiators have said the TPP will be the template for future trade agreements across the globe, setting a damaging precedent that could affect many more countries.